IGF-1 LR3, also known as Long Arg3 IGF-1, is a recombinant protein analogue of human Insulin-Like Growth Factor-1 that has a molar mass of 9,200 Daltons and is comprised of 83 amino acids. IGF-1 LR3 comprises the complete IGF-1 sequence, but with a 13 amino acid extension on the B-Terminus domain and the substitution of an Arginine for the Glutamic Acid at position 3. 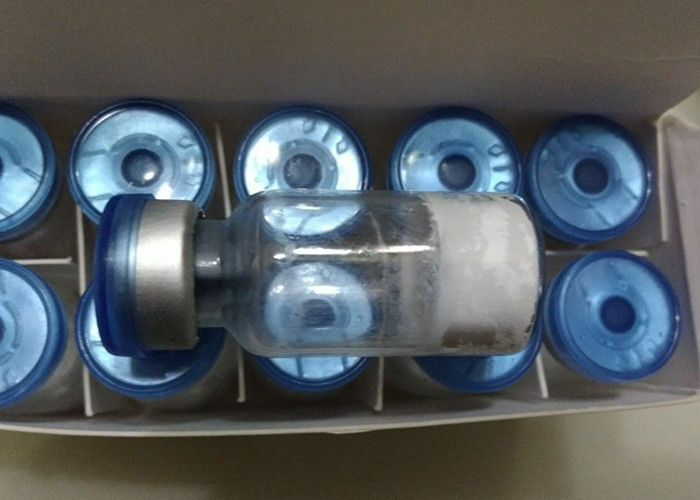 The LR3 analogue of IGF-1 was created with the intent to drastically increase the biological activity of the protein and IGF-LR3 is several times more potent than rhIGF-1. This specific sequence alteration has decreased the affinity of binding to the IGFBPs, which control the biological actions of IGF-1 and prevent the protein from reaching the IGF-1 receptors. IGF-1 LR3 is an 83 amino acid analogue of human IGF-1 that has been modified to include a 13 amino acid extension on its N-Terminus and the substitution of an Arginine amino acid for Glutamine at position 3. While IGF-1 LR3 is comprised of the the complete human IGF-1 sequence, these modifications have rendered the LR3 version to be much more potent than IGF-1 in-vitro and in-vivo. The result of these modifications is that IGF-1 LR3 does not bind as strongly to the IGFBPs, which modify the biological actions of IGF-1. Resultantly, IGF-1 LR3 binds to the type 1 IGF-1 receptor with similar affinity to that of wild type IGF-1, but with higher biological activity and has several advantages over recombinant insulin. 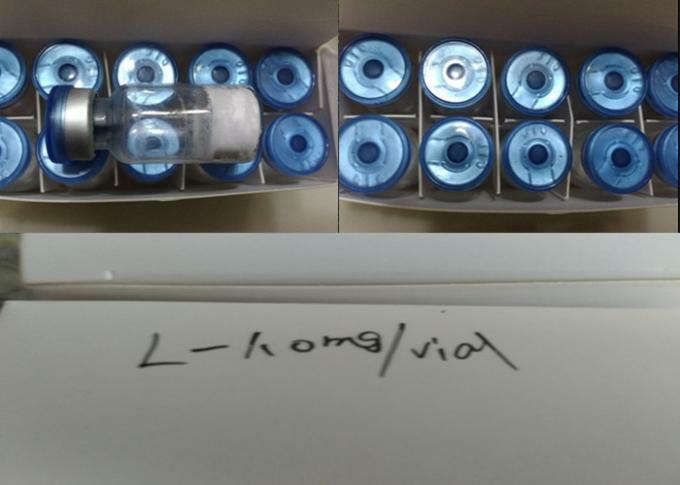 The supplementation of mammalian cell cultures with Long R3 IGF-1 at a much lower concentration results in more highly elevated productivity than with standard concentrations of insulin and/or standard IGF-1. IGF-1 LR3 is better able to stimulate the type 1 IGF receptor and thus induce a higher level of activation of intracellular signaling, which is responsible for promoting cell proliferation and the inhibition of apoptosis. By resisting IGFBP-binding, IGF-1 LR3 has a greater physiologic effect than IGF-1 does. The longer duration of action allows for smaller amounts to be used with the same effects. Some IGF-1 derivatives, such as the GPE derivative, made up of just the last three N-terminal amino acids of the IGF-1 protein, have been shown to have therapeutic effects in neurological injuries like stroke. Most studies concerning the effects of IGF-1 derivatives have been carried out in animal models, with little to no data available for humans. IGF-1 Long R3 binds to at least two cell surface receptors: IGF-1R and the insulin receptor. The IGF-1 receptor is referred to as the "physiologic" receptor because IGF-1 binds to it with significantly higher affinity (approximately 100 times higher) than it does to the insulin receptor. By binding to IGF-1R, IGF-1 can affect metabolism, cell growth (hypertrophy), differentiation and cell division (hyperplasia), prevention of cell death (apoptosis), normal development, and even malignant growth. IGF-1R has been implicated in several different types of cancer include breast, prostate, and lung cancer. IGF-1 also binds to the insulin receptor and activates it, thereby encouraging cells to take up glucose from the blood stream. The effects of IGF-1 on muscle cells are three-fold. Firstly, IGF-1 encourages hyperplasia, or an increase in the number of muscle cells. Secondly, IGF-1 has a strong effect on skeletal muscle - In regards to the life span of satellite cells. Satellite cells support muscle cells, providing them with needed nutrients and helping them to operate efficiently. By increasing the lifespan of these cells, IGF-1 helps to increase their number with muscle tissue. Finally, IGF-1 encourages differentiation of myoblasts, which is to say that it encourages the conversion of stem cell progeny from nonspecific pluripotent stem cells into dedicated muscle tissue. In this way, IGF-1 increases the rate of muscle development by increasing the rate at which generic stem cells are converted to muscle cells.